We had already been shopping for rings when I noticed a small lump on my right breast one summer morning. Neither was a surprise, but in 48 hours time, those 8 words, “you have breast cancer,” and “will you marry me?” changed my life forever. Most newly engaged women jump right into wedding planning. After all, who hasn’t been keeping a three inch binder/idea book of wedding dresses and ideas since we were 6 years old! This binder, however, was filled with test results, blood work, and treatment options. Most newly engaged women shop for a wedding dress. I shopped for a wig since I would be bald on my wedding day. Most newly engaged women research honeymoon destinations. I researched mastectomy options, surgeons, oncologists, and hospitals. Most newly engaged women pour over details like if their invitations should be white, cream, ivory, or ecru. I poured over Oncotype and BRACA tests. Our wedding was small – just us, his son, my parents and his mother along with the JP. We paid the $30.00 and called it a day. I was sick and bald but it was still a very special day for us. Instead of a traditional wedding reception, the six of us went to dinner the night before. And instead of a traditional lovey-dovey honeymoon, my new Husband and Stepson and I took a long weekend to the Great Wolf Lodge indoor water park. It certainly wasn’t the wedding most girls dream of. But instead of spending nine months pouring over meticulous details of a wedding day, I learned about real love. My boys stood by me every step of the way. Those 8 words changed my life. And I’ll never look back. Follow Holly’s year-long journey from diagnosis and engagement to being sick and bald on her wedding day. This is Holly’s story as she battles breast cancer and struggles with overcoming the subsequent self-esteem issues. The writing is raw – you will get an uncensored view of breast cancer treatment and what it’s really like. She uses humor and laughter to redefine beauty as she loses part of her breast, all of her hair, and is launched into early menopause. With pop culture references and her quirky sense of humor, Holly’s heartwarming story of love and strength is encouragement for all women going through cancer treatment. A percentage of sales will go to Holly’s favorite breast cancer charities. Purchase HERE. Love, hugs, and the journey continues. Thanks for inviting me to post in your link party, Holly. Not because I get to share my pink pumpkin with everyone, but because you’ve introduced me to your blog. I just finished reading this post, and have tears in my eyes. I was diagnosed with invasive cervical cancer when I was only 24 years old. I’m still here, age 47! (And thrilled that young girls today can get a vaccine that helps prevent certain forms of HPV, which was only a theory floating around the medical world back when I was diagnosed. Research and treatment have come so far since then!) Thanks for sharing your story, and reminding us that life somehow seems to go on even when we’d like to hit the pause button sometimes! And congratulations on where you are now on your journey! Wow, what a story! I am so glad that the ending is SO happy! You guys are a beautiful couple. I love that you are so open about your story and use it to encourage and inspire others. Thank you, Holly! I love that you are so willing to share your story with others. Gone is the day where people didn’t talk about it. My brother has always been willing to talk about what was going on with his cancer treatments and indeed, he WANTED to talk about it. He is in remission now. I have a friend who has bc and she has not told ANYONE outside her family except my husband and I. She wants to keep it private, as she is afraid if she tells people that they will somehow up her fear factor by asking her how she’s doing. She doesn’t want anyone to ask her that. I respect her decision but feel that she is missing out on a lot of support if she would only let people know. They just know that she’s missed church and they assume she’s either sick or working on that day. Holly, I really love your love story. What a wonderful man you married and getting a loving son in the bargain. I commend you for your courage and for the steps you have taken to get where you are. As an ‘older’ woman, I don’t know if I would have the courage that you have if this were to happen to me. I have seen it first hand from another young woman, my daughter. I remember too well how she sat on the edge of her bed with her 9 year old son on her lap, getting those 4 horrible and scary words from the doctor. She has faced up to what was given to her and she and I just completed the 10th annual Avon Walk for Breast Cancer in San Francisco She walked right after she completed surgery and radiation and I did the Crew and now she is 10 years a survivor and I am so proud of her. I’m so very proud of you too..Happy Monday..Judy. What a beautiful story and you are one blessed lady to have experienced such love from your man, along with the bad news! I’m sure you would have never imagined they would go together hand in hand one day….and yet, everything is the way it should be and the way our Lord wanted it for you. Wishing you both the happiness in the world and many blessings. Thank you for sharing. Your book sounds amazing! That sounds like the most wonderful wedding I have ever heard of…filled with real love and the people you truly care about~ when it really comes down to it, that’s all the matters! Your attitude is wonderfully upbeat and infectious. Two amazing people. What an inspiration. Thank you for sharing your story and giving hope to so many. What a beautiful testimony to the important things in life. Love, family and faith. Sorry you didn’t have the luxury of time to plan and have the wedding of your dreams , but so glad you have the man or men of your dreams. Thank you for sharing. Love your story. October is National Breast Cancer Awareness month. Before this year, I’d only tolerated the waves of pink that show up this time of year. But this year, it’s personal. Thank you for stepping out to share your story. What a blessing to have someone so strong standing at your side to walk with you through your journey. Prayers for continued healing. My dear Holly. Thank you so much for sharing your story with us all. I’ve been putting off scheduling a mammogram for a few years now. Your post really opened my eyes. I’m so glad you have such loving and supportive husband by your side. Take care. Your story is very beautiful and touching. Thanks for sharing it with us and for linking up at the Making Monday link party. May God continue to bless you and your family. Holly, You are one strong lady and an inspiration to many others. What a blessing to have such a supporting husband. I wish both of you many, many years of happy times together. Holly, you and your husband are amazing and wonderful. Thanks for sharing your story for all of us to read. Because of your bravery in telling it many ladies, who have been too afraid to have that check up and mammogram will likely do so! My mother wasn’t afraid, but she had never had a mammogram until she found a lump…her doctor had never ordered one for her. Sharing this mainly so that those in their later years understand that they should find a new doctor if their doctor isn’t prescribing that all important test. It is not painful as so many believe it is. My yearly mammogram is always on Halloween, unless Halloween is on the weekend. Then it’s on the Friday before or the Monday after. Holly, thanks to you and your husband for sharing your story and for his service to our country. My husband underwent a life saving operation 2 years back when his right kidney had a tumor the size of a palm. The cancer did not spread anywhere except his entire kidney had to be surgically removed. This surgery was an open one ~ not by laproscopy. For 6 weeks we struggled in the hospital and I juggled between my husbands hospital and my three sons aged 10, 8 and 7 becoz we were in different cities of UAE. My husband has recovered since but even now when we visit the doctor for our bi-annual MRI ~ I am a total mess before and after the tests. Living and surviving cancer is really a nightmare. It has made me realize just how precious each and everyday I have with my husband is. I “try” not to take ANY day for granted. I pray you recover. I pray that your marriage brings strength and contentment that you need. I pray that Allah swt (I am a muslim woman) gives you patience and the power to conquer your chaos and apprehensions. Ameen. I will continue to pray for you Holly. You made a beautiful bride and you are so blessed to have a sincere life companion. That’s all that should matter. Not the dress ~ bouquet ~ etc etc. Hi Naush – Thank you for sharing such a personal story about your husband and for your kind words. I’m glad to hear that he has recovered and you are right, going through this kind of experience does change your outlook on life to remember that each day is a blessing and extremely precious. Thank you for your prayers of comfort and strength. My prayers and blessings will go back to you and your family. Peace be unto you and your family. Thank you so much for sharing your story with us at our “Best Of The Weekend” party. Just amazing and I am really humbled by how brave you are and that you shared your story with everyone. This post is being the top feature and will be seen across all three of our blogs when the party goes live at 8PM EST tonight. 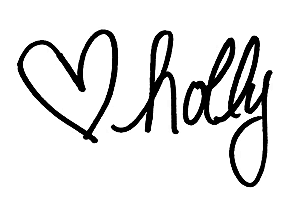 Hi Holly, I just want to say how much I love your blog. I only found it tonight and I have been here for a while now catching up with your posts. Your positivity flows from your words, and actually I was worried that this part of your blog would be upsetting, but your attitude has made me feel up not down, and I’m sure any women with BC out there will be very uplifted by your words. I came here by coincidence from a link up but i got really speechless by the beauty of this story. The love and the resilience you have. wow. May you always be blessed. It’s not where, when, what you wear, how much you spend. It is who you are with and the love in the room. Bravo, congratulations, it was beautiful, thanks for sharing…. Stopping by from Turn It ON Tuesday Link up…. What a beautiful and an amazing story you shared. It really is great that your boys stuck with you and that you learned what true love is. What a wonderful and very touching story! That is true love if there ever was!. Survivor! Love how you celebrated your special day – your strength and support is worth all the flowers and dj’s in the world. Beautiful! So many women grow up with these fantasies of their perfect wedding day but miss the meaning of the marriage ceremony. It isn’t about the dress, the colors, etc.–it’s about making a public commitment to your relationship–to love, honor, cherish–to keep it sacred. And you got to experience this. You didn’t exactly have a choice about it, but it’s lovely how it turned out. What a wonderful way to start out your marriage–not on the pretense of a fairy tale, but on what’s real for you. Your love. By the way, you look beautiful bald! I have just four words for you: You. Are. An. Inspiration. That is a wonderful, heart-warming story! You guys are all lucky to have each other. I think your wedding looked beautiful! This is a beautiful post and it is so uplifting that in the face of cancer you didn’t stop moving forward, you didn’t slow down, you kept going full speed ahead. You and your family are beautiful! Wow. What an inspirational post. Thank you for sharing. You obviously found a wonderful husband in Carter. I wish you both a long and happy marriage. What a sweet wedding story, thank you for sharing! So glad you added this to the ShareBank. It’s so fun to have a chance to hear your story. Wow, you are a linkup machine, girl! How do you manage to submit to so many? You lived the fairy tale, Holly, the one most “traditional” weddings lack…a brave and beautiful bride, one genuine prince charming, and true love. Honored to be able to join in with you this week to raise awareness. Oh, Holly dear, the fairy tale is true love. I’m sure you know this by now. Lovely. This is inspiring to those battling cancer, but also single folks like me! Love it a powerful thing. You are such a blessing! I have 3 girlfriends undergoing breast cancer treatment and one undergoing testing for some anomalies. Your story is such an encouragement. Thank you for sharing a part of your life. Such a sweet story..Hugs Holly! Thanks for linking up to Merry Monday! Pinned! Have a great week!